IF YOU ARE BRINGING A BOAT LET US KNOW PRIOR TO BOOKING 20 FT. MAX. INCLUDING OUTDRIVE. CANCELLATIONS: Thirty (30) Days prior to arrival $35.00 Flat Fee. Within Thirty (30) Days all funds forwarded are forfeited. EMERALD BAY is a Sentinal, 40ft. Park Trailer completely remodeled; Two (2) Bedrooms, One (1) Full Bath, w/ Three Pullouts. Queen Size Bed in the Master Bedroom with Second Queen Size Bed in Second Bedroom, with an additional fold out Full Size Couch in the Living Room. The interior layout is a Split Floor Plan. One (1) Television in the Living Room, with High Definition Satellite Link. The unit also has a Clothes Washer & Dryer. Color decor is tropical, and the theme is Nautical throughout. The property is on the water over 18Ft. of Floating Dock Space, which can accommodate up to a 20Ft. Boat, Great Fishing Dockside, Gas BBQ outside (we do not provide the gas), with Dockside sitting and adjoining lounge areas. Excellent water views from the living areas!!!!. Living areas in this unit are in the center; Living Room, Dining Room, and Kitchen. Outside seating area has chaise lounges to sit and relax, and catch the breezes, and a gas BBQ (we do not provide the gas), for those sunset dinners if you decide to cook. While Parking is in front of the Property. You Fish from the Dock, or enjoy swimming in the Community Pool which is on the adjacent Peninsula; 90 Sec. walking distance. The experience with us is a bit more Personal and Service Oriented, we will meet you on the Property upon arrival and get you settled-in and show you how everything works, the HVAC, the Stereos, Satellite T.V., the BBQ, Stove, the Range, and in-turn answer any questions you may have. While you are with us, should you need anything we are 45Min. away, or next door. The Property is extremely peaceful, and quiet, this is a Gated Community. Along the Waterway you may even see some Manatees swimming by, lay in the Chaise Lounges, and hear the Coconut Palm frontons move in the breeze. During the Day Ann and Her Husband, George, work their Crab Traps, they ride around on a 16Ft.. Skiff, you cannot miss them, their boat has large Registration Numbers on the side. If you like Crabs, call them over, they will sell to you either Blue Crabs or Stone Crabs. And do not worry if you do not know how to clean them, Ann will even show you how. Markets and Shopping are less than 10Min. away, we provide Discount Cards for WINN-DIXIE one of the Local area Markets. Key Largo, Florida Chamber of Commerce, This is the Chamber of Commerce site, of which we are Member of and does offer a myriad of endless possibilities depending on your interests. Group Fishing, snorkeling, restaurants, and other destinations. This is where we get the Brochures, we keep at the Property. We recommend you book in advance as for the destinations in the Keys, there are often discount offers for 'in-advance' reservations. And with items like swimming with the Dolphins or Sea-Lions at Theater of the Sea, they book quite in advance, due to the demand. DECEMBER 20, 2018 THROUGH MARCH 31, 2019: TWO (2) WEEK MIN. CONTINUOUS TO EXISTING RESERVATIONS..
COMMUNITY POOL AVAILABLE FOR GUEST USE; NOT-HEATED. Loved our stay. The area felt safe and was quiet. The trailer was very comfortable with everything we needed. A nice stay. Nestor very nice and helpful. The trailer was very clean when we arrived. Everything worked the way it was supposed to. Pleasantly surprised at how well the kitchen was stocked. Overall very happy with our stay. We did a lot of day trips and exploring, and so weren't at out trailer much during the day. The pool was wonderful. Other renters and locals were very friendly. We got to meet Nestor, he was very attentive. Great location, to explore the Everglades and the Florida Keys. All that we expected - neat, clean, quaint, affordable and just right. My son and I stayed at this quaint airBnB. The accommodations were perfect. Only problem was that the temperature in Key Largo fell to 52 degrees at night the second night we were there. As a Floridian I do not do cold well at all. That first night was tough but we were able to find a comforter and space heater in the unit so the next night was 100% better. It was a little outside of town but that did not matter to us. I would recommend this place especially if you are on a budget. The unit was as expected. 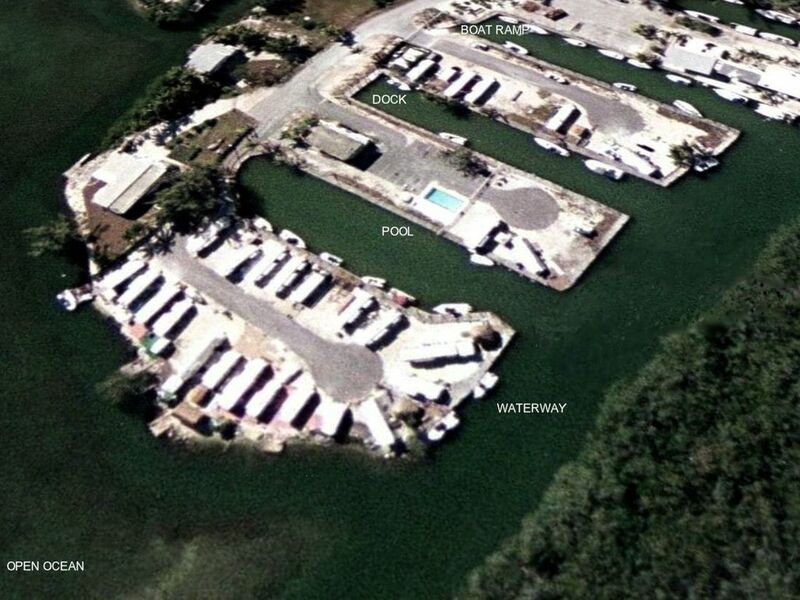 The property is Not identified as Emerald Bay, it is Manatee Cove. Parking is limited. Neighbors partied till 2am playing loud music. The bed box springs sqeeked like they were covered in plastic but they were not. Owner said they were new but they are still junk. Otherwise very quiet place in mid November. 10-15 minutes to dining and stores either direction. Bring your own toilet paper, unless you like using 20 feet of the thin stuff provided. The Community is called Manatee Cove Condominiums, this is evidenced in the Photographs provided on the Web-Site. It is a Community of Forty (40) individually owned Properties. Believe the Owner is entitled to name their Property, in this case, Emerald Bay". As listed on the Web-Site, parking is for one (1) vehicle. Guest comments neighbors played loud music until 2:00 A.M. Guest never lets us know, to intercede, verify, or resolve. There are noise ordinance in this Community which does have an Association. And, certainly as an option, after confirming, we could have called the Police. With regards to the Bedding, mattresses and boxsprings are new. Guest calls them junk. This is a Trailer, we provide a "thin" toilet paper as needed to go through the piping and discharge pipes. This is typical for Trailers. After 15 years in this Business, continue to NOT understand why Guests do not call during tenure for us to verify and address their concerns. In this Guest's case, they certainly called one (1) hour prior to their arrival, requesting arrival information. This had been previously sent fourteen (14) prior. We responded immediately, and re-sent. During the Guest's Stay; there were no calls, E-Mails or Texts. $75/NT - $525/WK - $2,200/MO 3 Night Minimum 12.5% State of Florida and Monroe County Taxes $80 Cleaning & stocking added on all bookings. $250 Refundable Security Deposit collected on all stays, returned 7-10 Business Days after departure. For Reservation 25% of Total:, balance due 14 days prior to arrival. CANCELLATIONS: Thirty (30) Days prior to arrival $35.00 Flat Fee. Within Thirty (30) Days all funds forwarded are forfeited.